One of the more integral business functions is marketing. Without it many companies would be missing out on sales revenue. With the increased adoption of the Internet, many companies have turned to digital marketing solutions like email marketing. The only problem is, while email marketing can be effective, it can be challenging to make it successful. If you have been struggling with your email marketing campaigns, here are five helpful tips. If you have had an email newsletter or marketing campaign for more than a couple of years you likely have a large or fair-sized contact database. A problem many businesses run into is that their contact databases are simply out of date. Emails are being sent to accounts that have been closed, or to recipients who have moved jobs. An out-of-date database can really hurt the effectiveness of email marketing. It would therefore be a good idea to conduct a periodical audit of your database. Take the time to update information like names, positions, email addresses, etc. You should also look at how your database is organized. Because of its widespread use, email has become the medium of choice for spammers and even hackers trying to gain access to various systems. To counter this companies have adopted email scanning programs with strict filters that block any emails that could be spam. Beyond that, many states and countries have no spam laws which require that companies must get recipients to opt-in so that they can receive email marketing. Having an opt-in link below sign up or inquiry forms. A common reason most everything fails in business is because it doesn’t have a clearly defined process. The same can be said for email campaigns, if they lack a clearly defined purpose e.g., increasing sales, promote a product or move traffic to a website, then the chances of success will be low. When developing a campaign take time to define the purpose, what do you want the recipient to do. From there, develop the content and layout around that purpose. Be sure to also define the type of people you want the email to reach because this will make it easier to define a recipient list from your database. Many email marketing initiatives fail because the company tries to include too much information or has an overly complex layout and sign up procedure. Try writing content that gets to the point and tells what the audience needs to know in a clear, concise and correct manner. When developing the layout, aim for something that looks clean with ample white space and only essential information. Careful use of images and design should also drive attention to the most important content. Beyond that, content should also be optimized for mobile devices. Because many recipients will deem your email marketing as non-essential, they may not look at it while at work. This means that they will likely look at it on their mobile device. If your content doesn’t scale to fit smaller screens, this could lead to the reader simply deleting the email. Email marketing can get overly complex so, why not get some help? Try working with different email marketing providers to see what works for you, your content and what provides the best results. By working with an email service like MailChimp or Constant Contact, you could drastically improve the effectiveness of your campaigns. 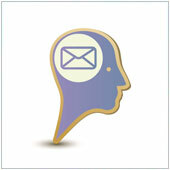 If you are looking for an email marketing solution contact us to see how we can help.